This is a really interesting airplane. In this image, SE-RHR, a Boeing 737-8Q8, is on approach for Arlanda’s runway 01L, flying for Viking Airlines. 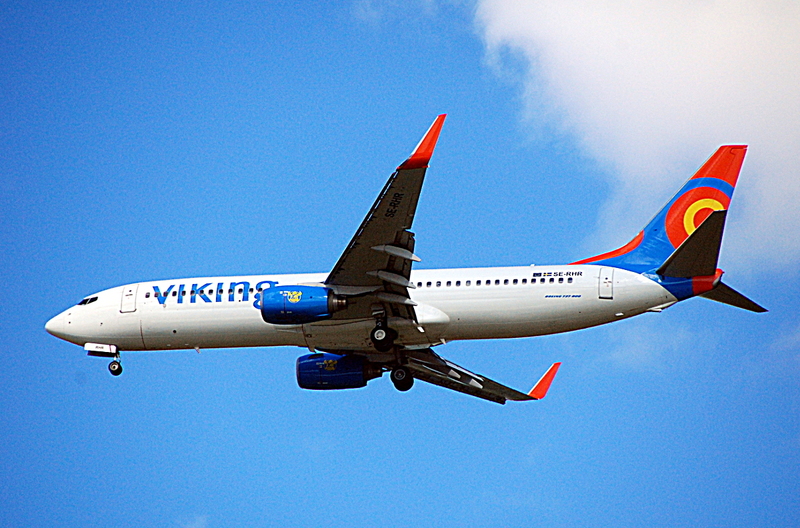 However, Viking Airlines went bankrupt since this picture was taken. Since its first flight back in 2001, it’s been flying for multiple airlines, including Sabre Airways, Air Berlin, Excel Airways, Kelowna Flightcraft, Sunwing Airlines, XL Airways, and Sun Country Airlines, and it has carried the following registrations: N1787B, G-OKJW, D-ABAA, G-XLAE, C-FTAE, and N816SY. It has two CFM56-7B27 engines.